Our fishing season begins the end of May and ends mid August. There are two King Salmon runs on the Kenai. The first run begins in May and ends the 1st of July. These first run Kings can average 30 to 40 lbs. The second run Kings enter the River the 1st of July and the season ends the 1st of August. The second run Kings can average 40 to 50 lbs. 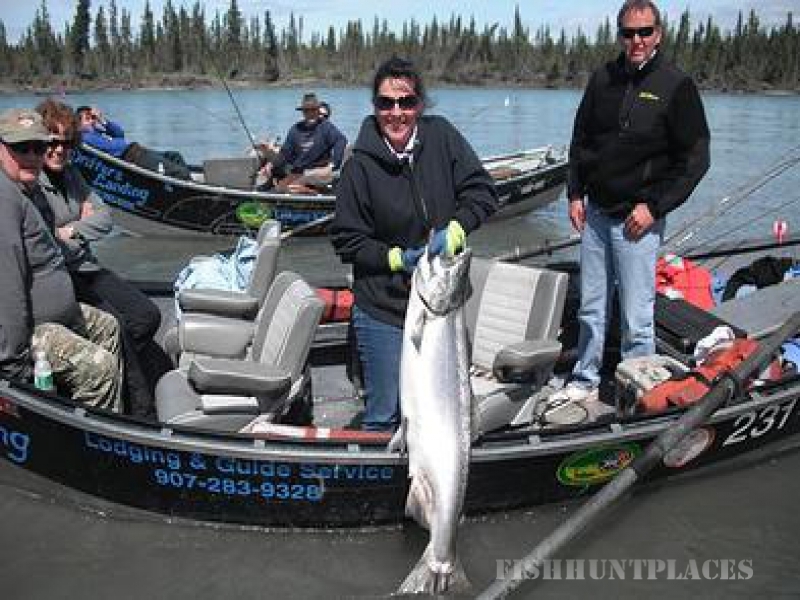 It is not uncommon to land a trophy King weighing in at 60 to 70+ lbs! We also fish the Kasilof River for Kings. The Kasilof Kings are typically smaller with an average weight of 15 to 30 lbs. This is a "drift boat only" river which provides a quiet, tranquil experience. The Sockeye salmon flood into the Kenai mid July and provide a lot of fun, as well as a freezer full of fish! If you prefer a more "laid back" fishing experience, the Silver salmon fishing in August might be what you are looking for. 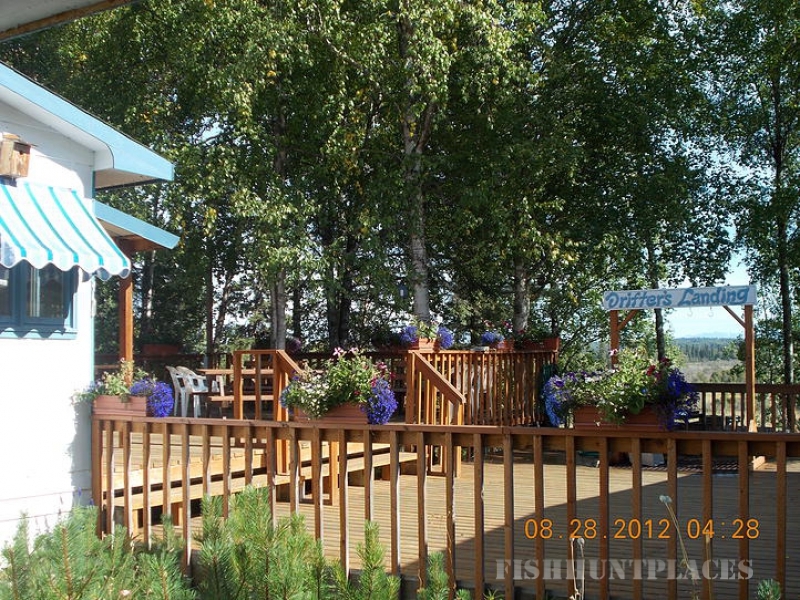 The Kenai is less crowded in August, which appeals to a lot of folks. These beauties average 10 to 15 lbs, provide plenty of action, and are by far everyones favorite on the grill! Why Fish With Drifters Landing? 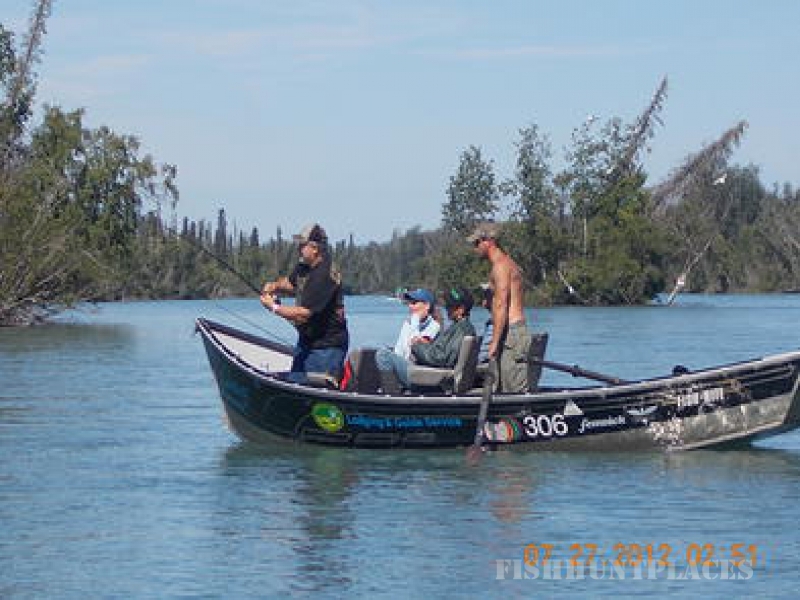 What are you looking for in your Kenai River fishing adventure? If it's a quality, personalized experience, fishing in the quiet, solitude of a drift boat, then we have what you are looking for! 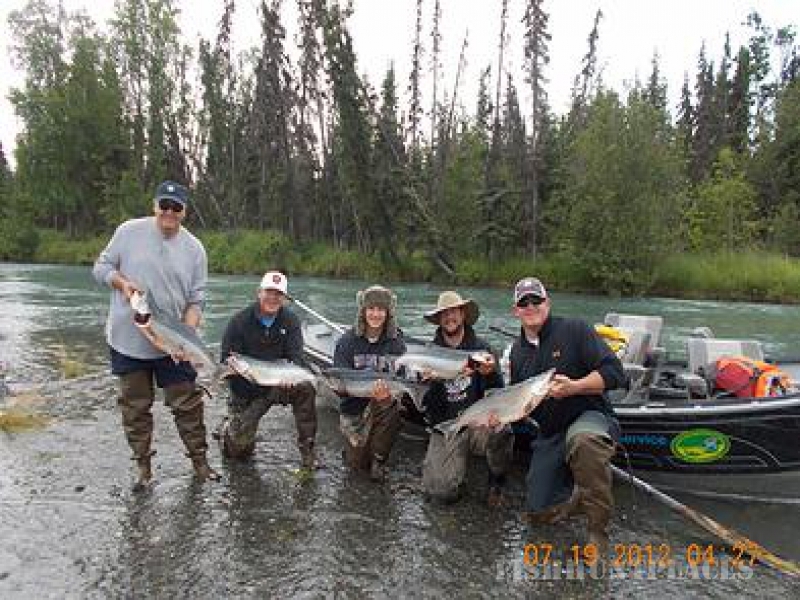 We have been offering our guests the opportunity to fish the Kenai as it should be fished. We take a very limited number of customers each summer and provide a fishing experience you will never forget. When you fish with Drifter's Landing from a drift boat, you spend more time fishing; 8 to 10 hours a day of guided fishing! 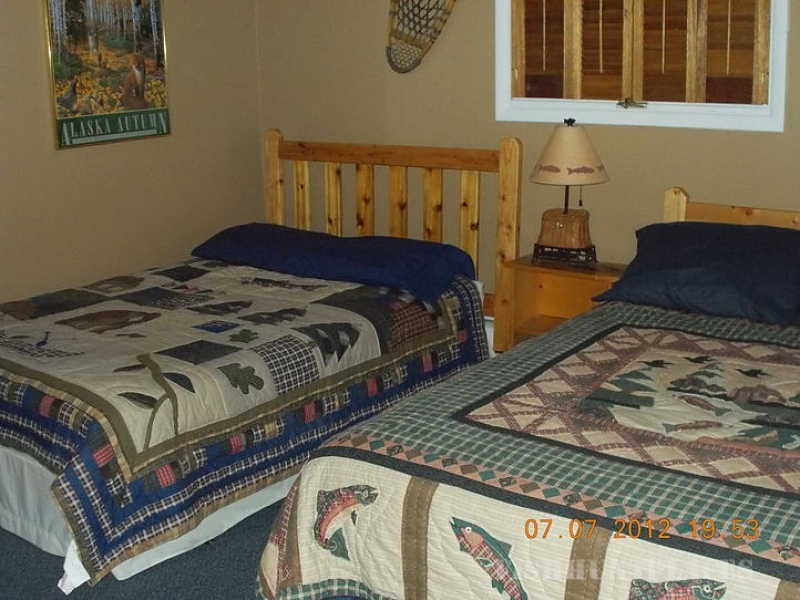 Isn't this what you came to the Kenai for? Your line is always in the water and you're enjoying the tranquility of fishing from a boat, minus the exhaust and noisy motor! This is True Fishing as it should be!